Your mind is where it all starts in relation to the psychology of success. On the one hand that seems like a statement of the obvious, however bear in mind that there are many people who because of financial stress, lack of confidence and lack of positive vision for the future are struggling in life largely because they don't appreciate that one of the main gateways to success and also being able to effectively plan and undertake strategies for success and happiness lies in having a true understanding of what the psychology of success actually is and how it works. Most, or at least many people do understand that there is an element of "psychology" in relation to being successful in life, whether it's purely financial success, career success or success in whatever it is that you want to achieve, that positive mental attitude and self belief are prerequisites for success in any field. However most of these same people, if they're struggling with money and/or personal problems and don't consider themselves successful as such, believe that that somehow doesn't apply to them individually because they see their problems and difficulties as arising from external circumstances and other people, not from within themselves, and so feel that focusing on changing their own inner belief system and psychology is unnecessary and even pointless. So we know that without a sense of self belief and a positive attitude success in any way or form will be unlikely or at best partial. However conjuring up that self belief and positive attitude isn't always easy, in fact sometimes it feels impossible. What if you have doubts about your ability to do something well or properly and so consequently you keep putting it off and feeling that because of that you're failing. Where's that positive mojo gone then? In order to get to grips with this problem of confidence and self belief you ultimately have to reprogram your deep rooted thought processes in order to replace negative self belief with positive self belief and hypnosis is ideal for this purpose but first of all there are some changes you can make to the way that you look at tasks and problems. Ask yourself why you want to successfully complete any given task or project. Is it because you see the end successful result in terms of gains for you, i.e. if I go to the gym regularly I'll look great, or, if I do this right I'll get a pay raise or, if I please my boss I'll get promoted. When you're motivated in this way you're thinking of the gains - financial, career or whatever - that you'll make and if you're confident about your ability to complete the task well and you're thinking positively about it then that's fine. However if you doubt your ability to do things well that doubt will weaken your motivation and you either fail, only succeed partially or you don't attempt it at all. So how can you use the psychology of success in that situation? Start by changing your focus from "what's to be gained" to "how to maintain what I already have". This kind of "preventative" thinking - as a pose to "acquisitive" thinking - can be used to draw energy and mental resources toward completing the task, whatever it may be. For example, going to the gym. Instead of thinking about how great you'll look think about not letting yourself fall out of shape any more than you may already be. Instead of thinking about how to impress your boss think about getting it right in order to keep him or her from becoming annoyed with you and thinking that you might not be up to scratch for the job. While that maybe doesn't sound much like the psychology of success it is actually a useful and effective mental strategy to help counter doubts about your ability to succeed in things. Another obstacle to success commonly encountered by many is the "I just don't feel like it" syndrome. Most people believe that success in any field or endeavour must be accompanied by a strong desire to do whatever it is that you have to do to succeed. However bear in mind the old saying which goes something like "Success is 1% inspiration and 99% perspiration". While that may be something of an exaggeration it remains basically true. You just can't always feel like doing what needs to be done, it feels so much easier to just procrastinate, to just put it off. However procrastination has a habit of extending itself until you find that you've done nothing to move things forward. What needs to be done here is to make a mental readjustment so that instead of focusing on how you don't feel like doing something, instead focus on reminding yourself that there is nothing actually stopping you from doing what needs to be done. If you genuinely want to succeed in something then whether or not you feel like doing what's necessary is irrelevant. Crude and simplistic as it may seem, the bottom line is that in order to succeed you have to get it done. If you don't feel like it, so what? Do it anyway and you'll soon find yourself becoming absorbed in the task and will feel much better about yourself once you've done it. The ideas outlined above constitute small but useful readjustments that you can make in the way that you think and feel about obstacles to success, i.e. self doubt and lack of drive. However if you want to create real, profound and lasting positive change within yourself, if you want to dramatically boost your confidence and self belief and make yourself a success magnet, then a deeper understanding of the psychology of success is required. However this deeper understanding comes about through an appreciation of not only the psychology of success itself but also how your conscious and subconscious minds work together. Whatever thoughts habitually occupy your conscious mind sooner or later become ingrained into the subconscious mind and your subconscious will work tirelessly to bring these mental images into the reality of your life. For example, if you think frequently or constantly in terms of failure and hardship, should it then be any surprise that the reality of your life seems to be filled with failure and hardship? Your subconscious mind has the power to lead you to and also attract to you the circumstances, conditions and people necessary to fulfil the mental imagery and feeling impressed on it by the conscious mind. The subconscious mind is incredibly powerful, but it ultimately follows the guidance that it receives from the conscious mind, whether it's of a positive or negative nature. The subconscious doesn't reason or think about what's right or wrong, real or imagined, it ultimately just acts in accordance with its "instructions" from the conscious mind. What this means is that it is possible - in fact not even difficult - to tap into and harness the power of the subconscious mind and use it to make whatever beneficial changes to your life and self that you wish. You have the power to attract wealth and success into your life whatever your current circumstances may be and you can do it by utilizing both the psychology of success and the power of hypnosis to neutralize and dissolve negative self belief and the negative thought processes that spring from it and which hold you back from achieving your financial, career and personal goals. 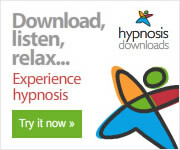 Check out the following links for information about audio hypnosis downloads designed and created just for that purpose.